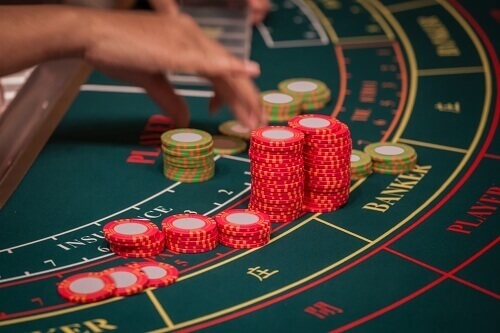 Although portrayed as elegant and very formal in movies such as James Bond, Baccarat is actually a simple game to play. It is exciting and is game of pure chance – so, there’s no skill or strategy needed. More so, baccarat offers South African players with the best playing odds. Do you want to learn how to play baccarat to win? Then you’ve come to the right place. This guide has all you need to know about playing baccarat online. Playing baccarat is fairly easy as already mentioned. The aim of the game is to get a hand which totals or is as closest to 9 as possible. Usually, the baccarat table sits seven punters or more depending on which version you’re playing. Only two hands of cards; the Player’s and the Banker’s are dealt. This is regardless of how many players are seated on the table. Mzansi gamblers will find three Baccarat betting areas; one for the Banker, one for the Player and one for a Tie. The game begins with the dealer dealing two cards to each player in a counter clockwise direction. The dealer himself usually stands at the centre of the Baccarat table. One of the players sitting will then become the banker and will deal the cards while other players become the bettors. The banker will also place a bet and players on the table will see if they would like to match the wager of the banker or not. Going ‘bank’ means you will match the wager. However, if no one on the baccarat table chooses to go bank, the punter with the highest bet will be the one speaking for the players. 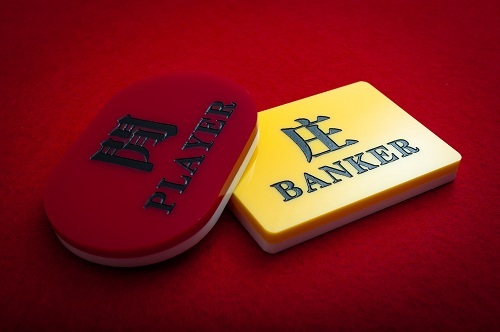 Both the banker and the player that represents punters on the table will check and view the cards. They must say if any of the hands have a total of 8 or 9. If this happens, the hands will be revealed and compared. The hand with the highest total wins the bet. However, if none of the hands equal 8 or 9, the player will decide if they want at third card. The card will be dealt face up. More so, players with a total between zero and four are free to ask for one more card. Players with a hand equalling six or seven are advised not to take an additional card. Moreover, players will get their wagers back plus their winnings, should the player’s hand win. If the banker wins, they continue being the banker and all other players will lose their bets. For wins on the banker’s hand, the dealer takes 5% commission. Punters will be paid 8 to 1 if the Tie bet wins. Just like any other game, there are rules to playing baccarat. Below are some of the rules you must know when you learn to how to play baccarat online. Nine is the highest score. Tens and picture cards have zero value. Cards numbers from two up to nine are worth their face value. The Ace equals one point. More so, in the game of baccarat, the second digit automatically becomes the value of the hand once the point reaches double digit. So, 10 is worth 1 etc. Simply drop the first digit after the total points reach 10 and should be the value of your hand. For example, a hand of 8 and 5 adds to 15, which means the value of the hand is 5. Read more on online baccarat.